In the cave homes of forty years ago you would not find any of the modern conveniences we take for granted. In those days caves homes did not have running water or sewerage and the only electrical supply, if any, was a low power, 125 volt lighting circuit, literally pinned to the cave walls. Tiled floors were unheard of, the floors mainly being made up of compacted earth or possibly some kind of "yeso"/cement mixture. Typically the ceilings of old caves were quite low, sometimes making them feel a little claustrophobic. Unreformed cave houses come in many degrees of dereliction. The worst situation is a cave that is "as dug", here you will find the excavation in its original state, with bare rock walls, an earth floor and quite probably no doors or windows. To imagine one of these crude excavations as a modern comfortable home takes some practice and I can almost guarantee that unless you have seen a fully modernised cave home you will not be able to imagine the potential that lies in these "holes in the ground". 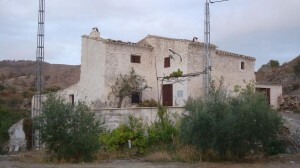 Only the most ambitious and experienced should take on the restoration of this type of cave home. Other unreformed caves may be more recognisable as a home, they have plastered walls, ill fitting doors and windows and electrical wires running through the rooms. The amount of work required to restore these cave is less than that required above but can still be a sizeable project. Yet other caves may only require modernisation as opposed to a more complete restoration. Many caves that have recently or continue to be lived in by Spanish families are quite habitable but their design and layout does not suit modern living. Usually what is required here is complete rewiring to modern standards and power requirements, lowering of some or all of the floor levels (be very wary of increasing room height by taking out the roof) and often refitting both the kitchen and bathroom(s). It will not be possible to go into every detail of the modernisation process, instead we can explore in a more general fashion aspects peculiar to cave homes. Let's start by exploring overall design and cave layout. 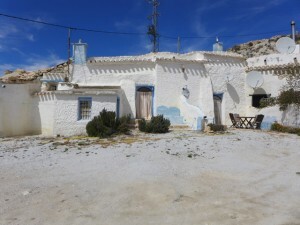 Two cave houses for sale in the pretty hamlet of ..."
"Beautifully reformed 4 bedroom, 3 bathroom cave house in quiet location now just 80,000 euros! !